Roccat Khan Pro Review | Nerd Much? Roccat sets out to create eSports level products priced for the average gamer: practical in function yet sleek in design. The Roccat Khan Pro Headset definitely reflects this vision. When it comes to PC gaming, streaming on Twitch, or even just hopping on your platform of choice for co-op or competitive multiplayer, gamers can agree on one thing: you need a headset. And when it comes to selecting the right one, there are a few factors to consider: comfort, sound design, speaker quality, and holistic value. 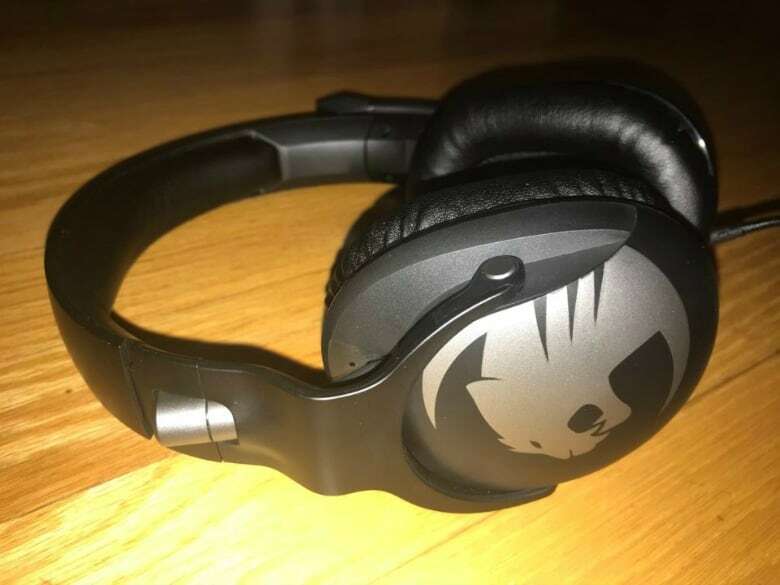 In the product description, Roccat Khan Pro cites its high resolution sound, light weight, easy controls, and robust build as reasons to make the purchase; it definitely holds up in some of those categories but falls short in others. One of the big selling points for the Roccat Khan Pro is its lightweight design. This is noticeable immediately, weighing 230 grams (a little over half a pound). The construction still maintains a quality feel: the headset is flexible, adjustable, and has hinges to turn the earcups for casual wear around the neck in between matches or gaming sessions. It’s light but not at all flimsy. 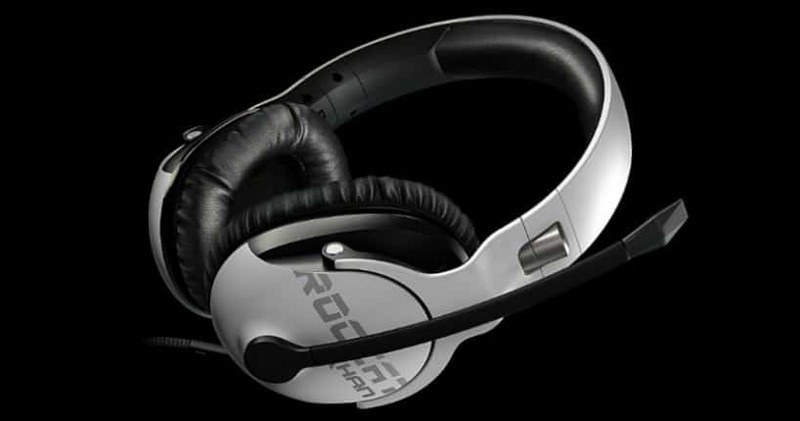 The headset is heavily branded with the Roccat logo on the right ear, the name and brand on the left, and the name again on the top of the headband. Depending on your taste, this could be a pro or a con, but for me I found it aesthetically pleasing. Roccat generally has strong brand recognition and is well-regarded overall, so the heavy branding is welcomed in my opinion. Plus, nothing says eSports like tech brand affiliations. The braided cable is incredibly flexible and comes in at a generous 2.45 meters (approx 8 feet). You won’t have to worry about it impeding gameplay in any way and, if you’re playing on PC, you can easily get up, wheel away, and generally navigate your battlestation without (quite literally) feeling like you’re on a short leash. There’s a 2-in-1 adapter packaged with the Khan Pro that allows you to utilize different ports and Xbox One controllers. When it comes to overall comfort and look the Roccat Khan Pro is a dream. In addition to the aforementioned comments, the padding on this headset is incredible. There’s a lot of foam but it’s soft enough to conform to your head and ears and durable enough to retain its neutral shape when its not being worn. The depth of the padding on the ear cups keep your ears from touching the inside of the speakers while also having a practical function in terms of the sound design (which I’ll get momentarily). 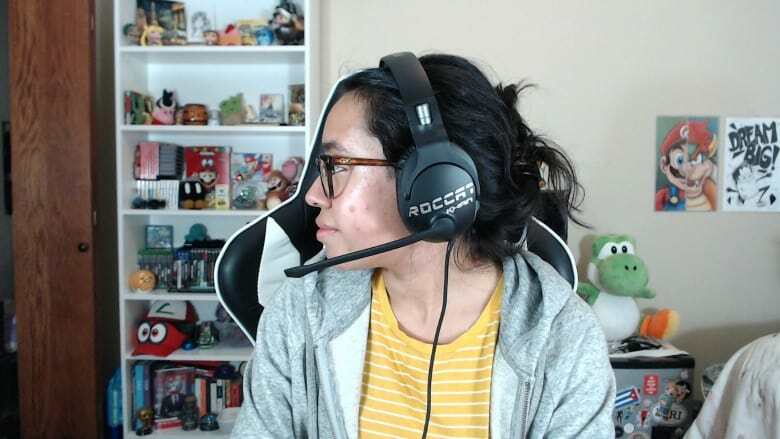 As someone who games with glasses and has an industrial barbell piercing (aka a cartilage piercing) on my right ear I thought for sure wearing such a large, over the ear, gaming headset was going to result in some discomfort but there was zero. I feel absolutely no pressure on my head when I’m wearing these. The bottom line is the Khan Pro is so comfortable you’ll barely notice they’re on at all. Of course, you’ll remember you’re sporting the Khan Pro as soon as the gameplay begins because the sound is quite distinctive. Going back to the physical design of the headset: the cushioning on the ear cups creates a sort of contained funnel of sound. This is great when it comes to creating passive noise cancellation and zeroing in on the sound provided by the Khan Pro. Unfortunately, that sound is really quiet. I think this was done in order to keep the emphasis on voice chat. You can hear teammates well, your real life audio surroundings are blocked out, but as far as in game music and sound effects, the Khan Pro leaves more to be desired. If you’re judging the quality of any headset (or headphones), the key thing to look for is how it can handle the lows. Anything can handle the mids/highs, but the lows will show you what the headset is capable of. While the Khan Pro is clear in sound, it’s not crisp. You would think the lower overall audio would be a trade-off for the sound quality, but it’s not. In terms of identifying footsteps or gunshots, it does feel precise but the sounds themselves (especially the lows) aren’t as pronounced as they should be. 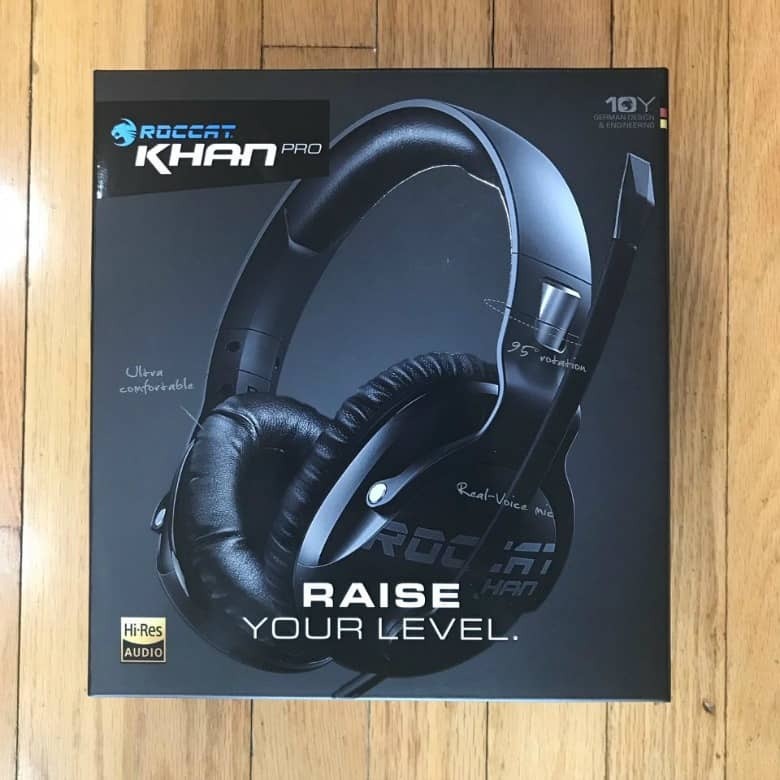 It doesn’t hurt my experience, but the Khan Pro doesn’t enhance my audio experience, either. It definitely feels better than using general speakers because there is precision, and I really appreciate the passive noise cancellation and overall comfort of the headset. Additionally, the mic is really good considering it’s just a headset mic. So if you’re playing multiplayer games, or streaming, tossing these on can be a good choice especially at the $100 price point. When you consider the Khan Pro holistically, it’s a good investment if you also want mic functionality. On that note, it’s worth saying that the mic arm is bendable, so you can turn it closer to your mouth and the headset itself as a volume knob. However, if you’re just looking for good sound quality for solo gaming, I think there are other options to explore. The Khan Pro is a good deal, but as straight-up headphones, there are better options out there. The audio quality wasn’t as good as my monoprice headphones (which is shockingly good and incredibly underpriced) but the Khan Pro is doing a lot more as a gaming headset. If you’re looking for a gaming headset to chat with friends or stream, at the $100 price point, the Khan Pro is a great option. But if you just want some great sound as you dive into a good campaign, the Khan Pro may not be for you.